It is one of the most important landmarks in the town of Chania and its fame has travelled beyond the country’s borders. We are talking about the historic “Kipos/Garden” café in the heart of Chania’s public gardens and a member of the European Historic Cafes Association. Initially, this association was “born” in the “Kipos” café on April 8 2014, when the founding act of the historic cafes network was signed. The latter includes over 35 historic cafes in Europe and has the Chania town clock as its symbol. As the president of the European Historic Cafés Association Vasilis Stathakis explains to the Athens and Macedonia News Agency /AMNA that the choice of symbol is not accidental since “it symbolizes the birth of the idea of creating the historic cafes as well as their staying power through time”. 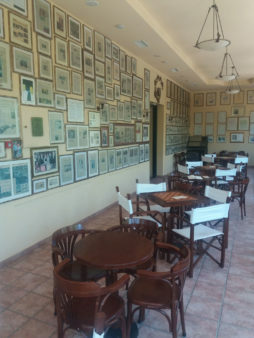 The “Kipos” Cafe itself has a history captured in photographs going back to 1870 that can be seen by visitors. 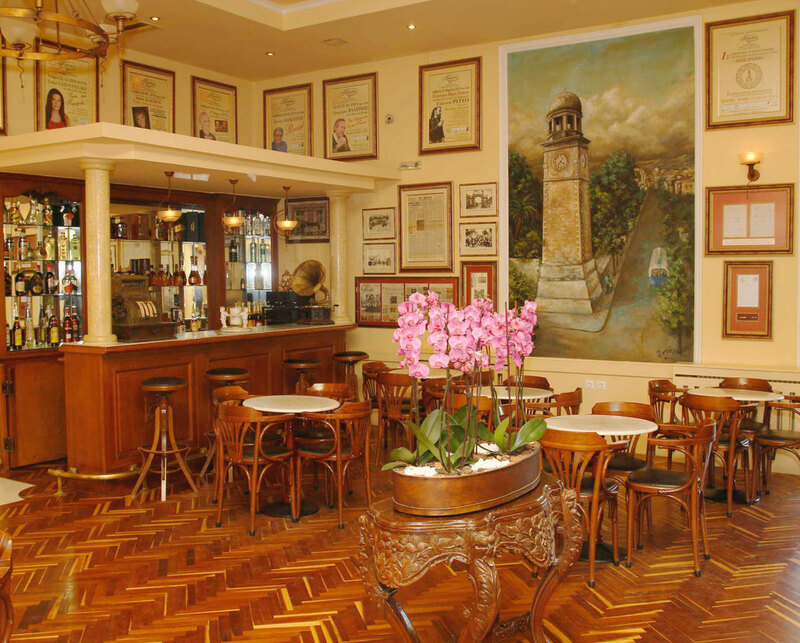 It was in this cool spot that Eleftherios Venizelos, Prince George, Nikos Kazantzakis and Kostas Karyotakis enjoyed their coffee. “The Kipos of Chania resembles the Aigli of Zappeion, it is the Aigli of Chania” Karyotakis mentioned in a note. 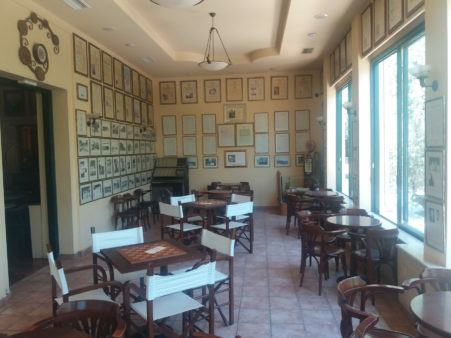 Other famous people to spend time in the “Kipos” Cafe were Aristotelis Onassis, Maria Callas, Sophia Vembo, Manos Hatzidakis, Mikis Theodorakis, Manos Katrakis, and the Metropolitan Irenaeus. There were also hundreds of Greek and foreign artists who spread the message of culture and art via this Cafe. Moreover, dozens of book presentations and very many cultural events are organized in this place every year. 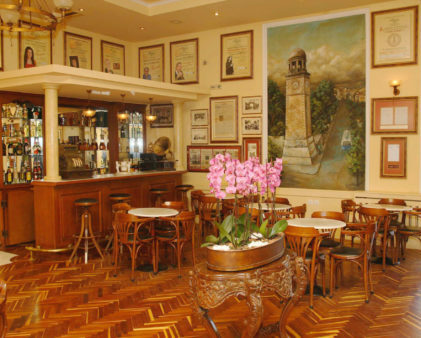 What today is a historic café, used to function during the time of the Cretan State as a “boulevard” i.e. a meeting place of the Cretan members of parliament, while during the island’s German Occupation the building had been requisitioned and was used for receptions. Today history is being written differently for the “Kipos” Cafe in Chania, since it is here that in 2020 the 10th Cultural Routes of the Council of Europe Advisory Forum will take place. This is an event of international interest that is expected to contribute to promoting both Crete and Greece abroad. 350 representatives from 60 countries are expected in Chania who will all join voices in communicating their vision of Culture. “History and our culture show us the way of how and why we should dream, like Venizelos the visionary politician”, says Mr. Stathakis to the AMNA. He refers to his own difficulties since 1988 when he became responsible for the historic Cafe. Hosting the 10th Cultural Routes of the Council of Europe Advisory Forum in Chania in 2020 is a great achievement, he says. “From the first moment, the ‘Kipos’ Cafe was a source of inspiration for me, because of its rich history. My aim was to highlight, preserve and promote both the history of this Cafe which is so interesting and its cultural heritage abroad and to succeed in creating a cultural ‘bridge’ of communication with Europe” he points out.